Today Marks One Year to Census Day 2020! Today, marks one year until the Census is full swing! The Census is the basis for representation in our country and how over $800 billion dollars in federal resources are distributed. Getting the next census count right is critical to making sure our government works for everyone — it will shape our nation’s democracy, public policy and economy for the next decade. Across the country communities stood up for a fair and accurate #2020Census count. And pledged to be counted. Elected officials and community leaders held press conferences and rallies to affirm their support for a fair count. 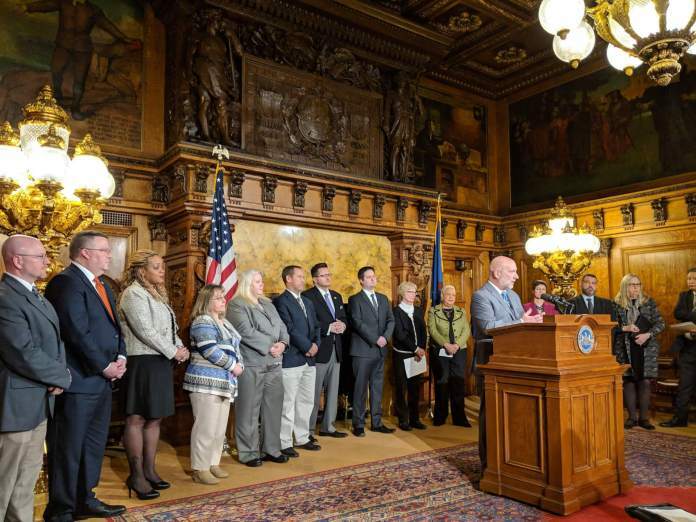 In Pennsylvania, the Department of Community and Economic Development (DCED) Deputy Secretary for Community Affairs Rick Vilello was joined by members of the Governor’s Census 2020 Complete Count Commission and other cabinet officials to highlight the importance of an accurate and complete census count in Pennsylvania. The press conference provided details on the progress made so far, as well as plans for the next year and strategies to reach often undercounted populations. 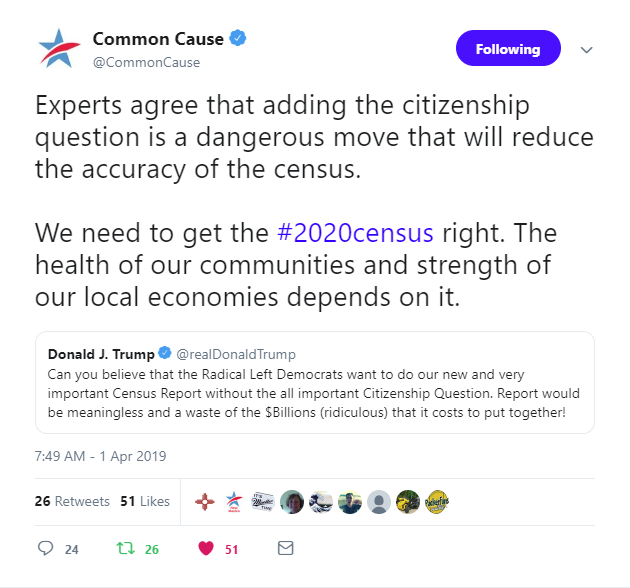 Even President Trump weighed in today, wrongly advocating for the addition of a citizenship question and politicizing the 2020 census. But his race baiting and tweeting were no match for the thousands of people that weighed in on the facts — a citizenship question would be a benefit to no one. 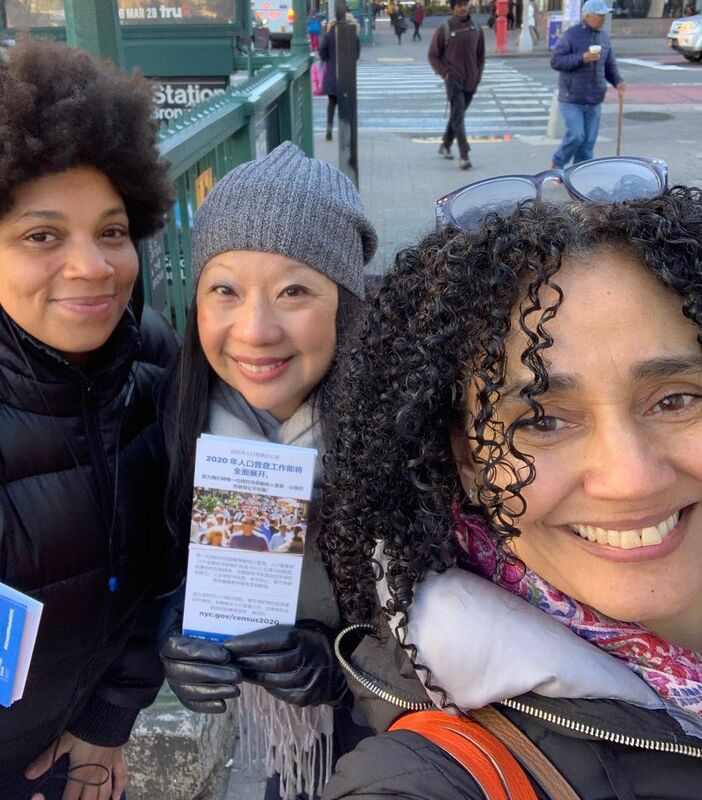 Thousands have emailed, callled, and tweeted their elected officials to demand a fair count today and support the Census IDEA Act in Congress. At the time of this email, over 8 thousand actions were taken by Common Cause members alone. Tweet at your Member of Congress! And share the tool! Tweet at your state legislators! And share the tool! Also today, Common Cause, along with former elected and appointed Republican officials, filed an amicus brief in the United States Supreme Court in Commerce v. New York challenging the addition of the citizenship question to the 2020 census.